StainlessDrains.com has built several prototypes to ensure the design is perfect for the roof drain application. 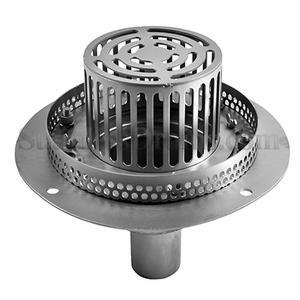 Extensive rusting of cast iron roof drains could lead to catastrophic failure, which is why our Stainless Steel Roof Drains are ideal, and 316 should be used where saltwater (oceans) are present. 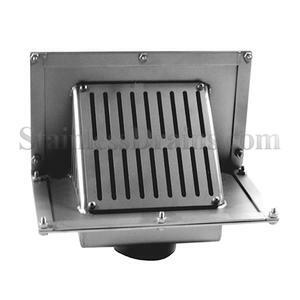 Parapet Drain front view with box. 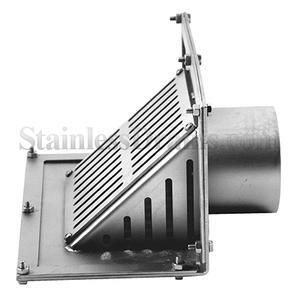 StainlessDrains.com has built several prototypes to ensure the design is perfect for the roof drain application. 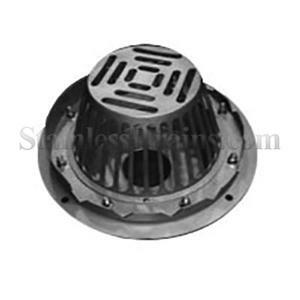 Extensive rusting of cast iron roof drains could lead to catastrophic failure, which is why our Stainless Steel Roof Drains are ideal, and 316 should be used where saltwater (oceans) are present. Roof Drain StainlessDrains.com has built several prototypes to ensure the design is perfect for the roof drain application. Extensive rusting of cast iron roof drains could lead to catastrophic failure, which is why our Stainless Steel Roof Drains are ideal, and 316 should be used where saltwater (oceans) are present. 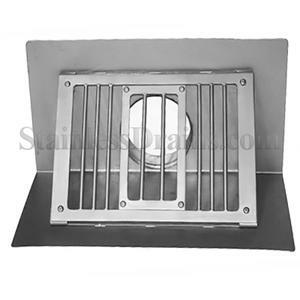 Parapet Drain Front View, StainlessDrains.com has built several prototypes to ensure the design is perfect for the roof drain application. 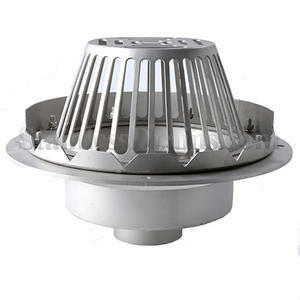 Extensive rusting of cast iron roof drains could lead to catastrophic failure, which is why our Stainless Steel Roof Drains are ideal, and 316 should be used where saltwater (oceans) are present. Small Roof Drain with wide bottom and perforated gravel guard. StainlessDrains.com has built several prototypes to ensure the design is perfect for the roof drain application. Extensive rusting of cast iron roof drains could lead to catastrophic failure, which is why our Stainless Steel Roof Drains are ideal, and 316 should be used where saltwater (oceans) are present. Small Roof Drain with 2" outlet, perforated gravel guard. 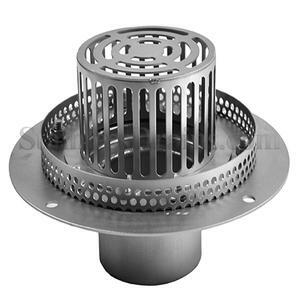 StainlessDrains.com has built several prototypes to ensure the design is perfect for the roof drain application. Extensive rusting of cast iron roof drains could lead to catastrophic failure, which is why our Stainless Steel Roof Drains are ideal, and 316 should be used where saltwater (oceans) are present. To inquire about a quote from StainlessDrains.com fill out our contact form or call us at 888.387.4045. StainlessDrains.com is listed by NSF International. Only products bearing the NSF mark are certified.